Is your manufacturer’s original warranty expiring or Audi extended warranty expiring or already expired? Consider purchasing a Vehicle Protection Plan from autopom! Audi is known for their engineering. They even say it in their tagline: “Truth in Engineering.” Audi is also known as one of the “German Big 3” luxury automakers, along with BMW and Mercedes-Benz. These three brands happen to be the three best-selling luxury automakers in the world, and with good reason. Audi makes good-looking vehicles that offer both luxury and performance. And don’t forget the Quattro® all-wheel drive, one of the distinctive features for which Audi is famous. They were the first to introduce all-wheel drive to passenger vehicles, and some say their system is still the best. So where does an Audi extended warranty or vehicle protection plan from autopom! come into play? 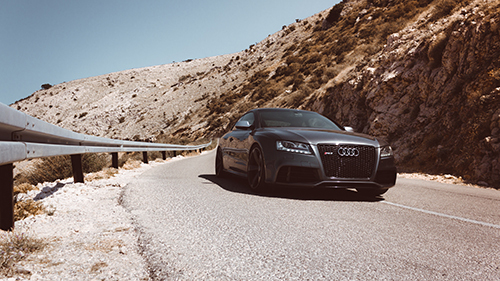 Although Audis are known for being well-engineered, they are also known for being expensive cars to repair! A big part of the reason they can be expensive to repair is also why people love Audis – their advanced engineering and technology. For example, Audis have electronic sensors on their brakes, so replacing their brake pads is more complicated and takes more time than on most other vehicles. Extended vehicle protection isn’t just for problem cars; it is also for reliable cars that cost a lot to fix when something does eventually go wrong. Keeping all of the above potential problems and repairs costs in mind, do you have that money set aside if you face one of them? Buying an Audi can definitely be a good choice, if it fits your lifestyle and budget. But with the known problems for certain models and the expensive-to-fix technology and parts in all Audis, why not protect yourself from unexpected and costly repair bills? An Audi extended warranty from the dealership or vehicle protection plan from Autopom can help you do just that. We invite you to learn more about how a vehicle protection plan from Autopom can make loving and driving your Audi a little easier. Get a Quote for my Audi!